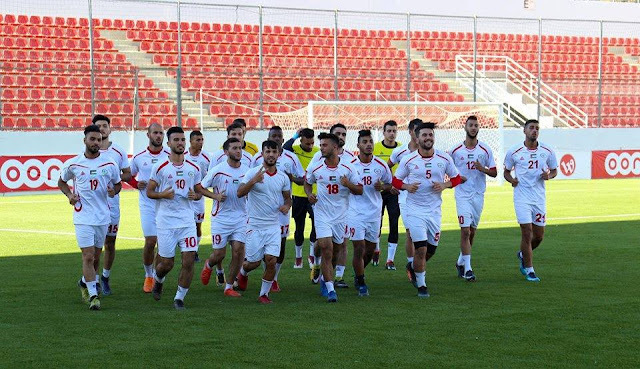 Palestine Starting XI (4-4-1-1): Toufic Ali; Alexis Norambuena, Haitham Dheeb (C), Tamer Salah, Fadi Salbees; Sameh Mar'aba, Pablo Tamburrini, Mohammed Darwish, Tamer Seyam; Abdelhamid Abuhabib; Matías Jadue. Recap: This was a practice game for both sides in every sense of the word. Palestine and Lebanon combined to produce a mere two shots on goal in the first half. The crowd had to wait 40 minutes before witnessing a corner kick for either side. It seemed that both teams were more concerned with avoiding injury or making a mistake that could cost them a place in the starting lineup. Abdel Nasser Barakat steered away from any radical changes to the side that faced Malaysia two months ago. Abuhabib replaced the absent Mahmoud Eid in the 'hole' while Haitham Dheeb partnered Tamer Salah in defence where there were two other changes: Alexis Norambuena lined up in his natural position as a right back while Fadi Salbees was deployed at left back. The extended preparation period seems to have served Palestine well, a lot of the common mistakes that plagued the team in their first two qualifiers are now no longer an issue. Palestine rarely made mistakes in possession, and when they did, there was sufficient cover or the awareness to commit a tactical foul. Defensively, the team looks a lot better with Haitham Dheeb marshaling affairs. He may not have the most impressive footballing CV but he is the best defender in the pool and might be one of Palestine's best players full stop. Lebanon's best chance of the first half came off a well-worked free kick. The ensuing effort from Youssef Mahmoud flying into the arms of Toufic Ali. Palestine were livelier at the end of the half, Abuhabib popped up outside the box and and sent a curling effort to Mahdi's far post which was comfortably dealt with. Minutes later, Haitham Dheeb came agonizingly close to connecting with a Tamer Seyam corner kick. The pace of the game picked up in the second half- Lebanon hand a handful of half chances from set pieces. While the inclusion of Jonathan Cantillana seemed to spark Palestine to life- the best chance of the game fell to Matías Jadue who burst into the box but couldn't manufacture an effort good enough of seriously challenging Bitar in goal. There was to be another debut on the day, with Amir Abu Nahyeh replacing Jadue with just over 10 minutes to go. Going forward, his role in this team will most likely be that of a super sub. His speed and hustle caused problems for Lebanon's centerbacks and he came close to scoring the winner off a set piece in the game's final moments. What I liked: Palestine were solid and organized. Lebanon had trouble breaking into the final third and when they did they were tracked back, harried, and harassed. What I didn't like: Palestine's attacking midfielders were not on their game today. Mar'aba and Seyam were excellent against Malaysia but they were practically invisible today and were not proactive enough in their approach. As they flattered to deceive, the door is wide open for the likes of Jaka Ihbeisheh and Mahmoud Eid to claim their place in the lineup. 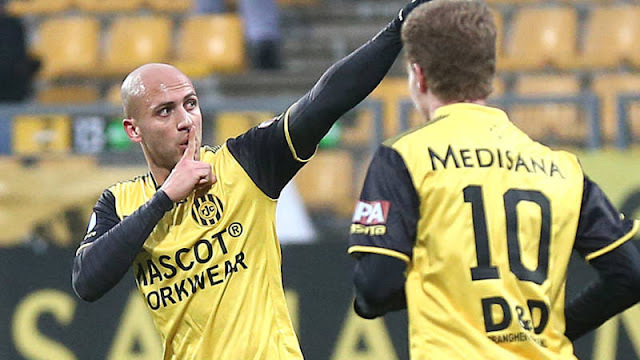 Debutants: Fadi Salbees was solid and steady on the left flank. His one error came in the 13th minute when a Lebanese player was allowed to send in a menacing cross but he was impervious after that lapse in concentration. Unfortunately for Salbees, the BeIn Sports commentator kept referring to him as Iyad and then repeatedly butchered his surname- eventually settling on 'SellPepsi' as his favored pronunciation. 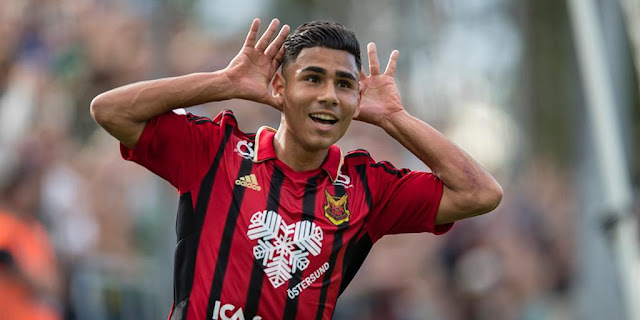 Jonathan Cantillana is the prototypical Chilean midfielder- combative, quick feet, great in possession- depending how the next week goes do not be surprised if you see him replace Abuhabib as the starter. Amir Abu Nahyeh showed enough in his 12 minutes on the pitch but you'll probably only see him vs. UAE if Palestine are chasing a goal. What's Next: Palestine travel to Amman and will then cross into Palestine by land- they will be met by the following players: Javier Cohene, Jaka Ihbeisheh, and Mahmoud Eid. They will have a week's preparation ahead of their next qualifier as they have a bye the next match day (September 3rd).